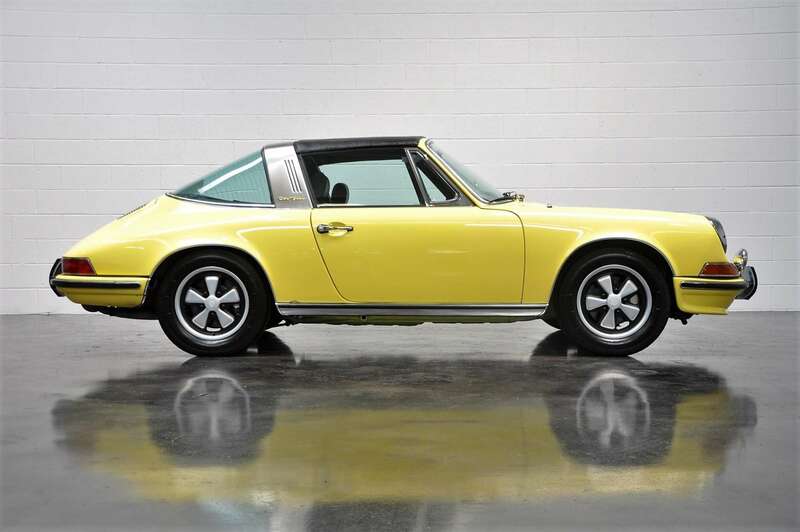 A beautiful example of Porsche’s grand touring 911S sports car. 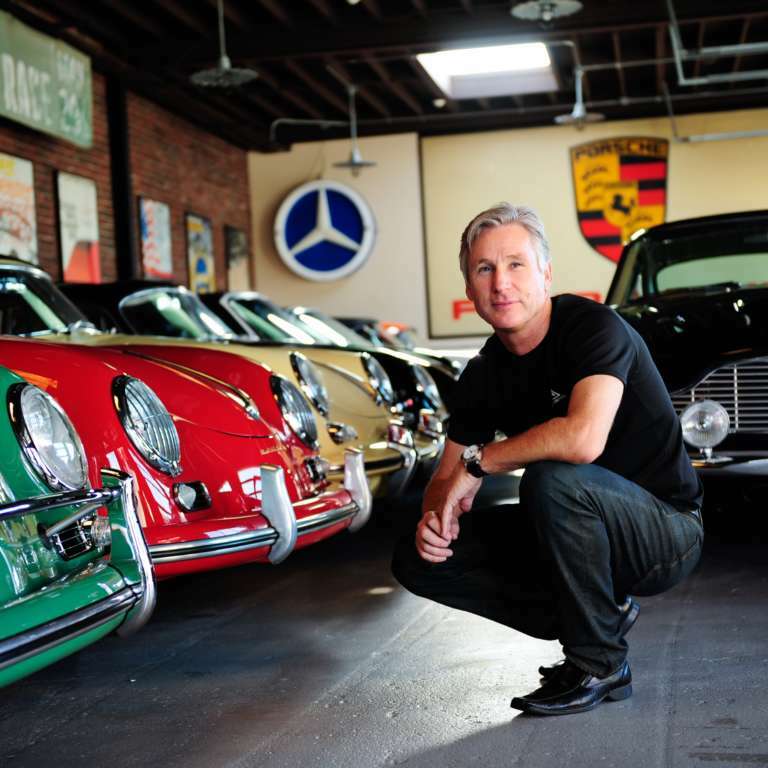 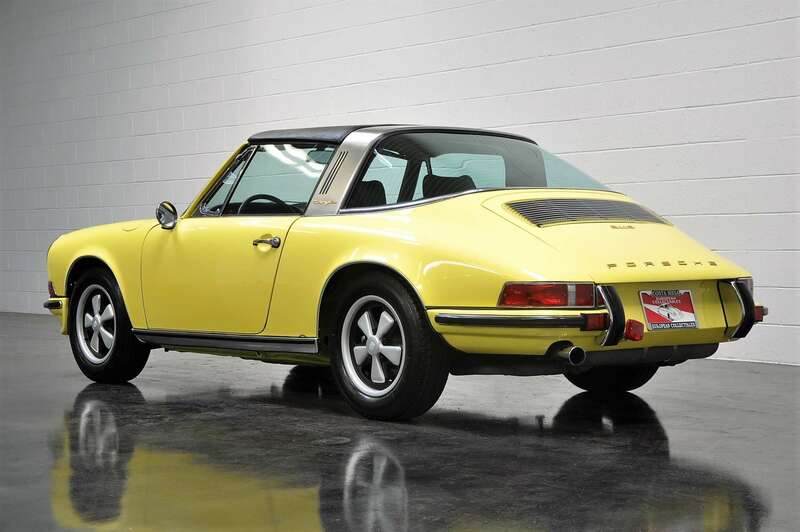 Sporting its matching “S” motor, 5-speed manual 901 transmission & four wheel disc brakes. 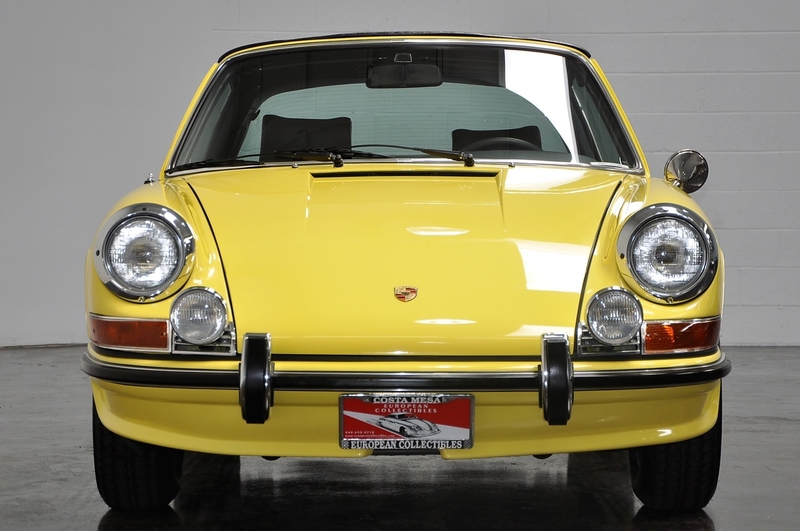 The 2.2-Liter engine is producing 180 Horse Power, truly an amazing 911 to drive. 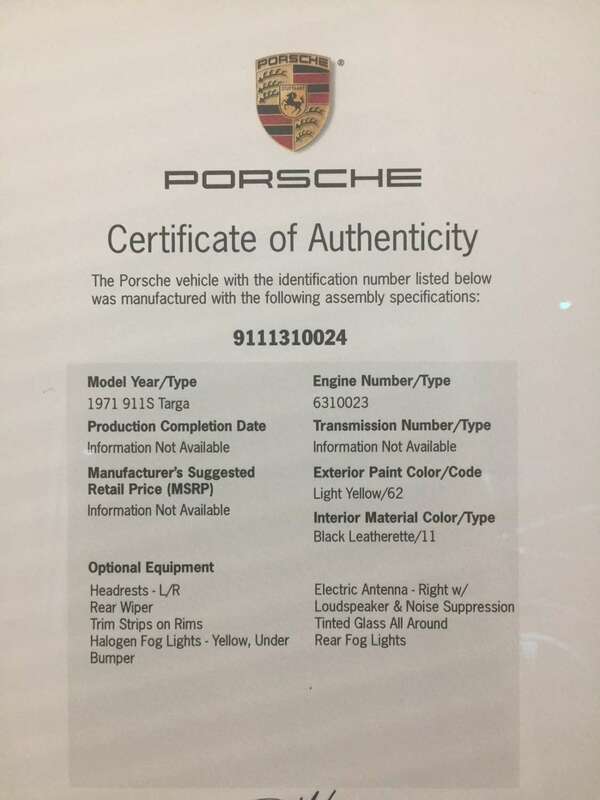 Early production, number 24 of only 788 produced & last year of the 2.2 L engine. 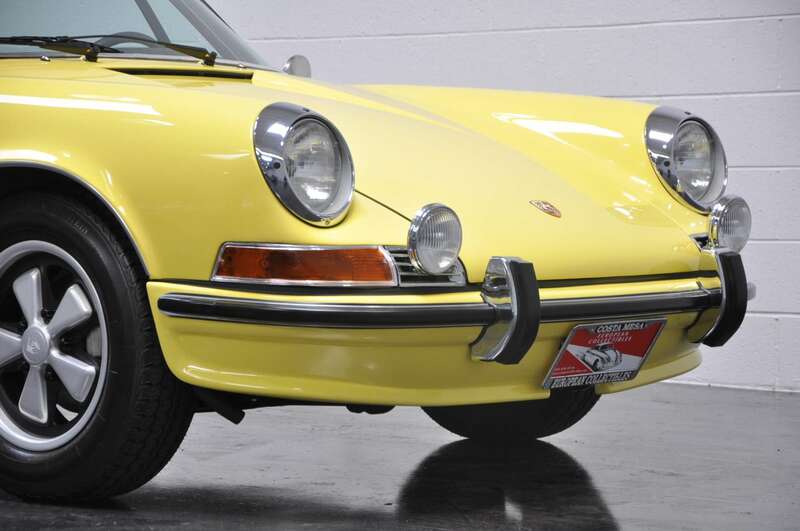 Desirable & sought after color combination, Light Yellow (color code 6262) with a Black interior. 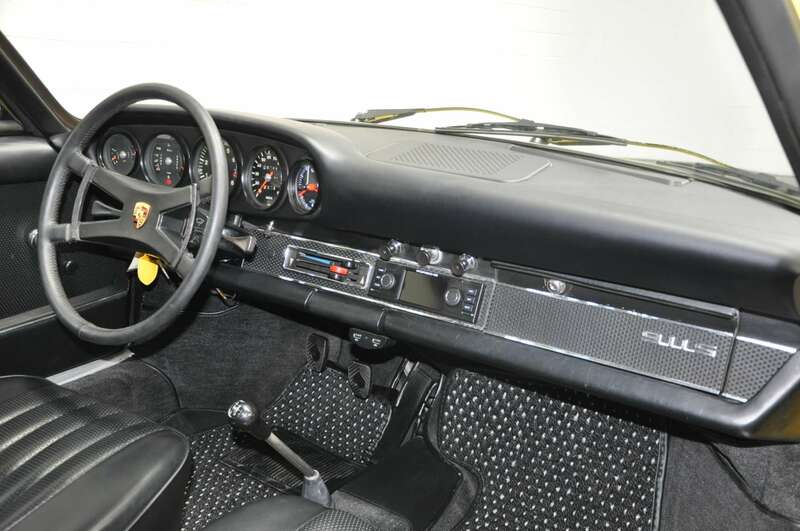 Excellent mechanical condition with a strong running engine and smooth shifting transmission. 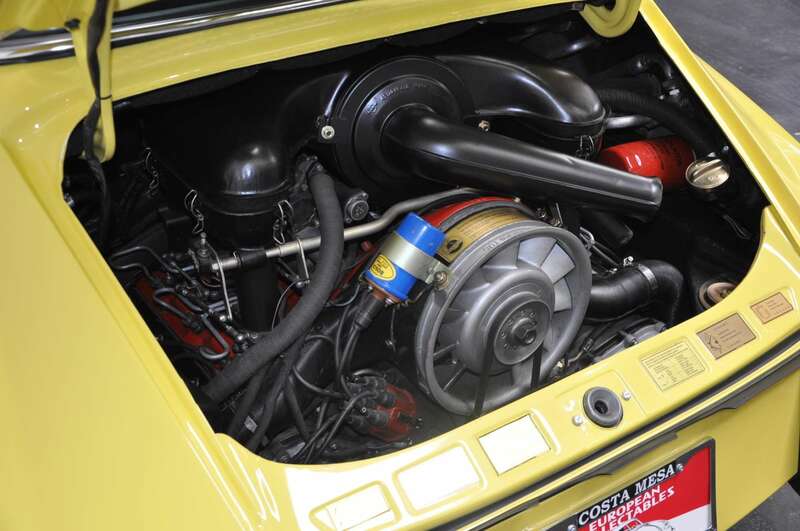 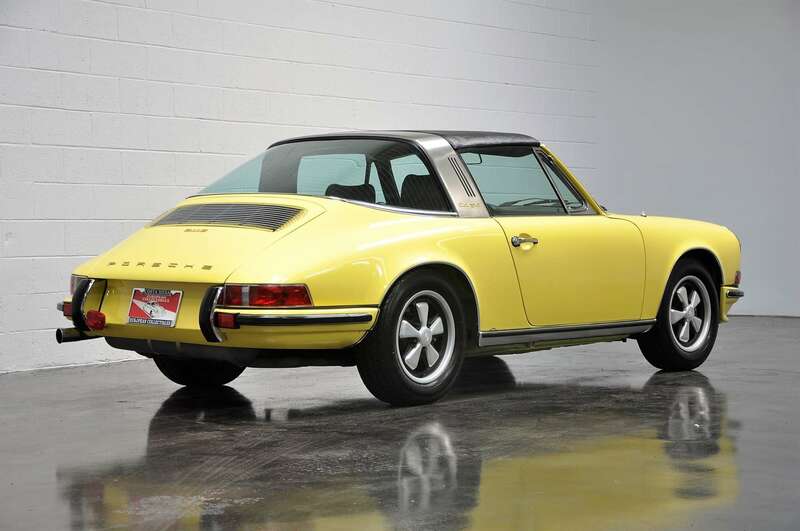 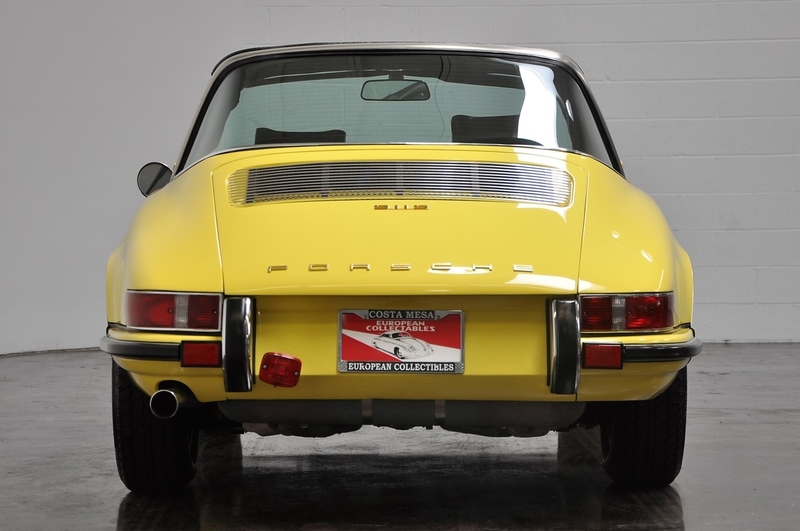 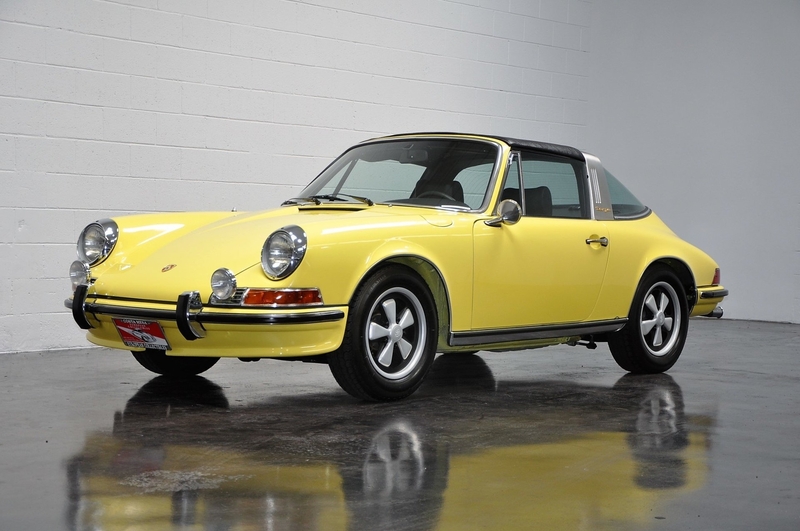 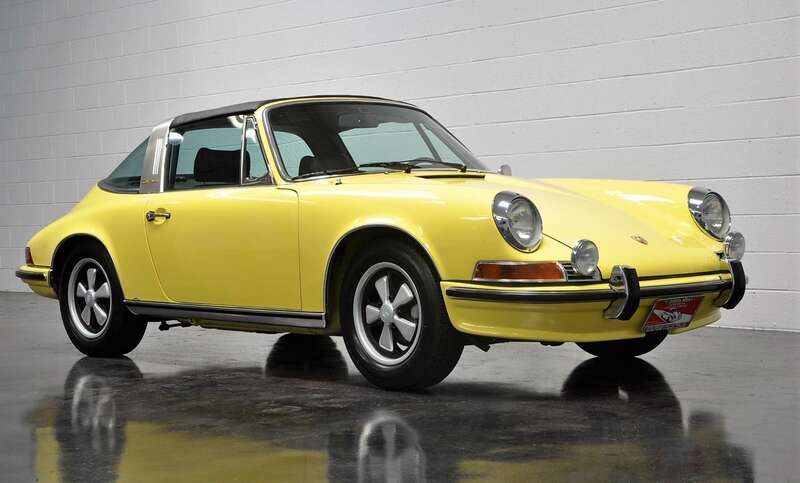 This exceptional 911S is offered with the original owner’s manual, tools, jack, Porsche Certificate of Authenticity, documenting matching number engine & original color combination. 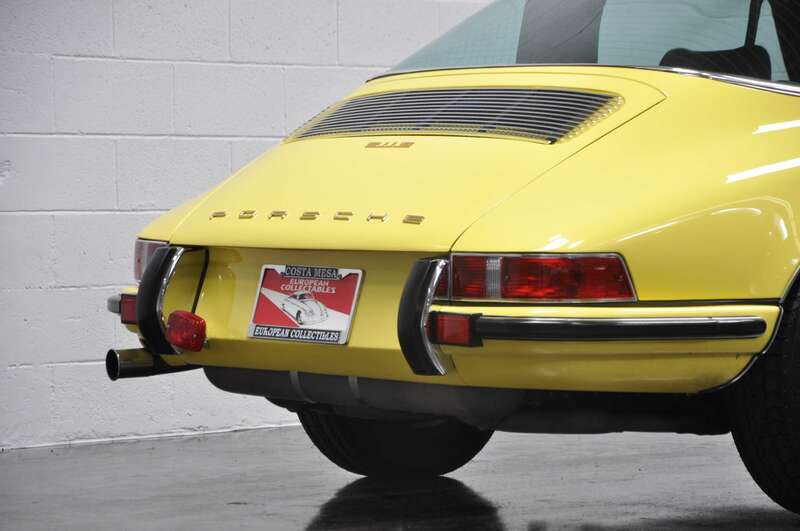 There was a steady improvement that Porsche imparted on its highest-performance sports car in the late 1960s and early 1970s. 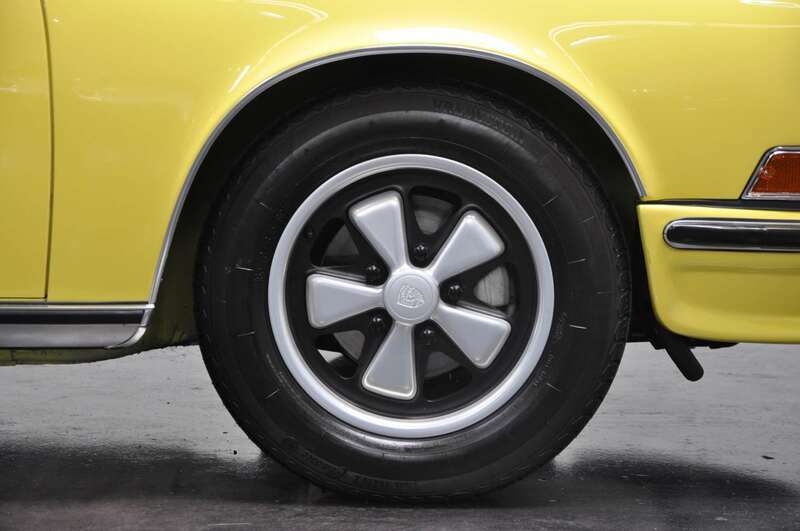 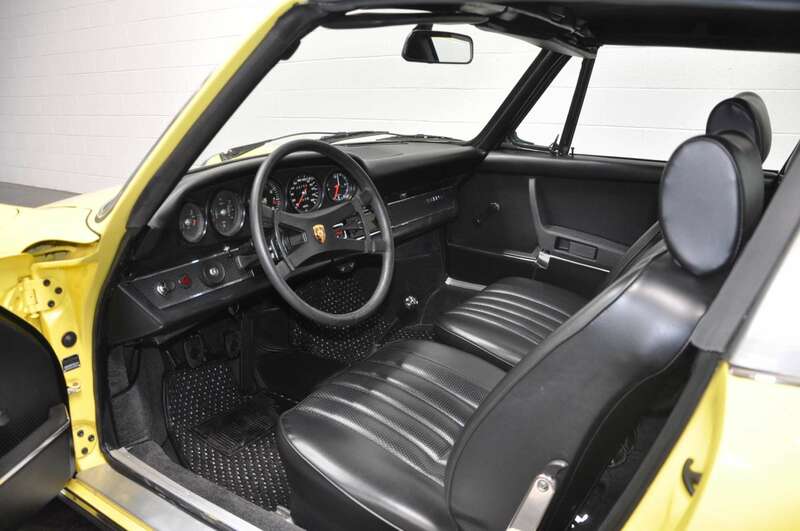 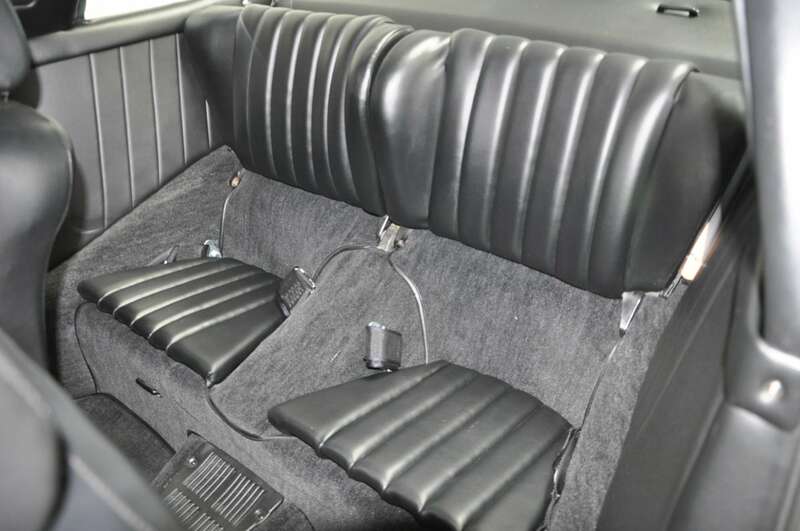 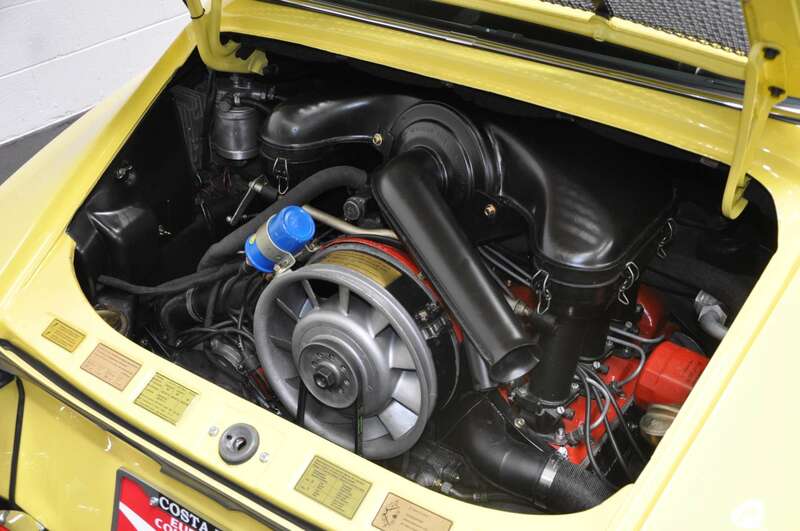 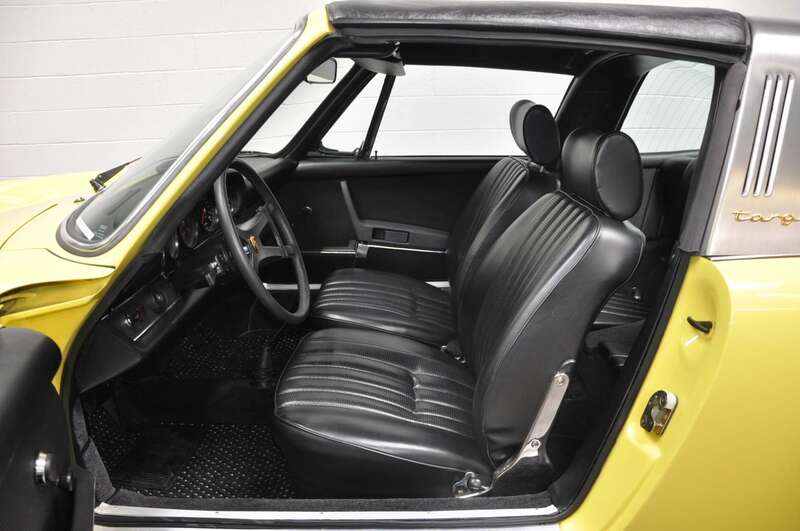 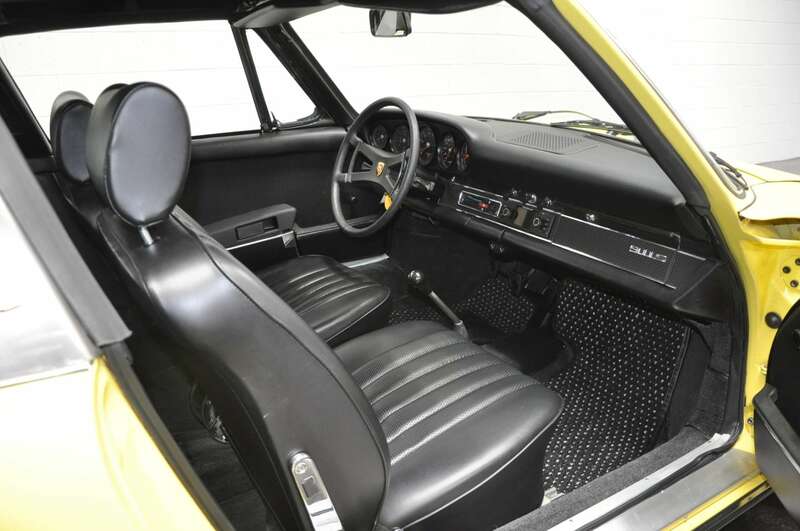 The wheelbase of the 911 had been extended by some 2.5 inches in 1969, providing better balance and handling, and with its engine output now increased to a potent 180 horsepower, thanks to larger valves and better breathing, a larger 225-millimeter clutch was required. 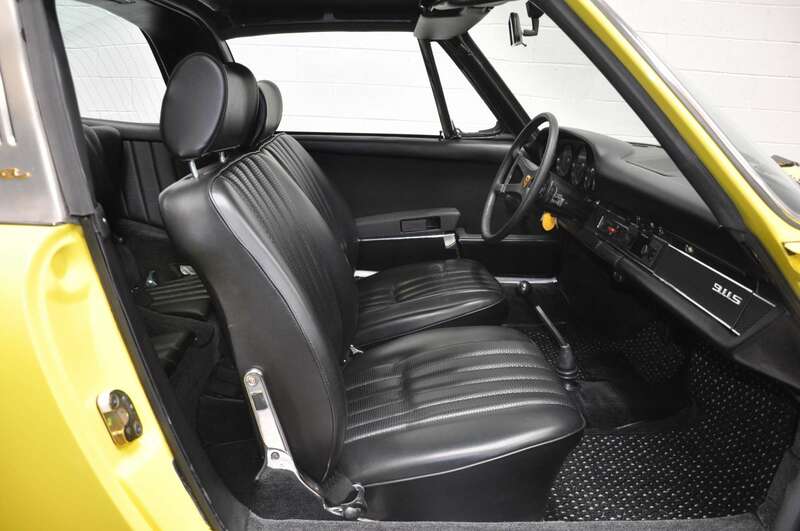 Interior fittings were upgraded as well, with a new steering wheel lock and its instruments now mounted in rubber rings. 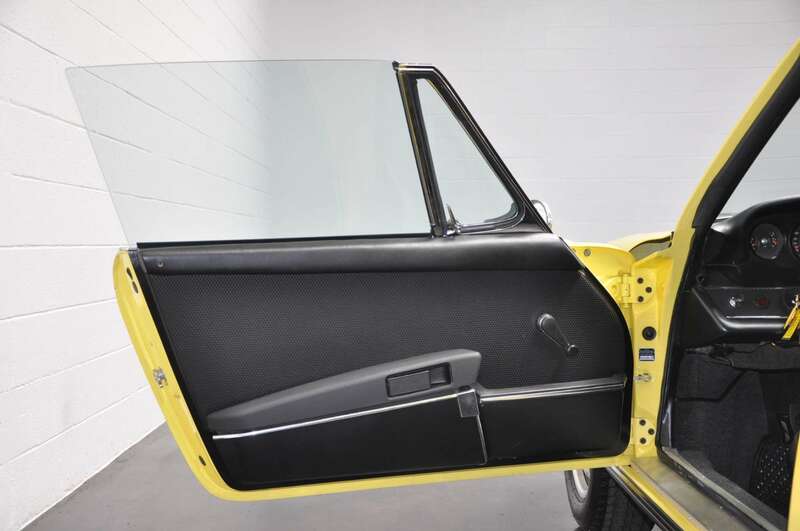 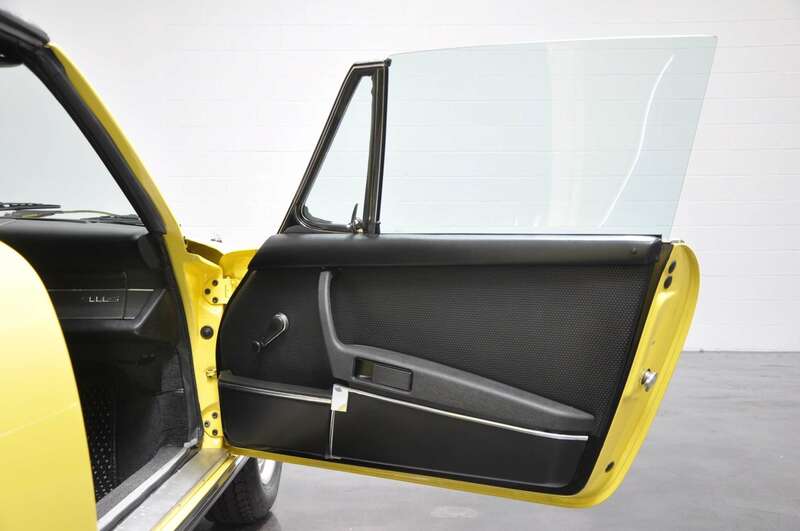 Externally, new door handles a safer design replaced the earlier push-button type, and the cars were delivered with full factory undercoating for the first time. 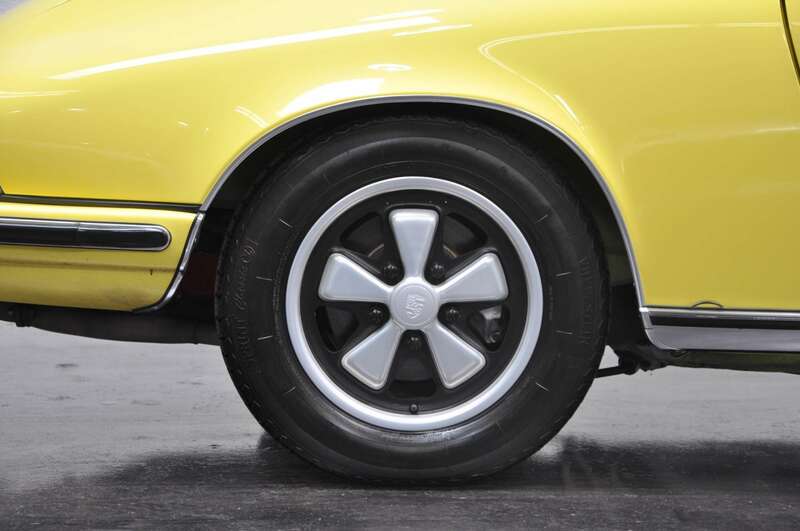 Stopping power was provided by 11.1-inch ventilated front and 11.4-inch ventilated rear disc brakes, which proved more than enough for a 2,400-pound car. 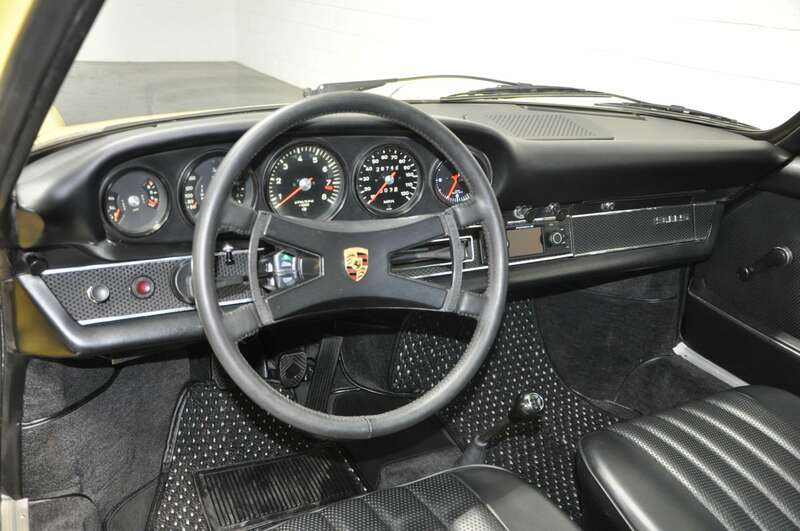 It was also capable of accelerating 0 to 60 mph in just over seven seconds & reaching a top speed of 144 mph. 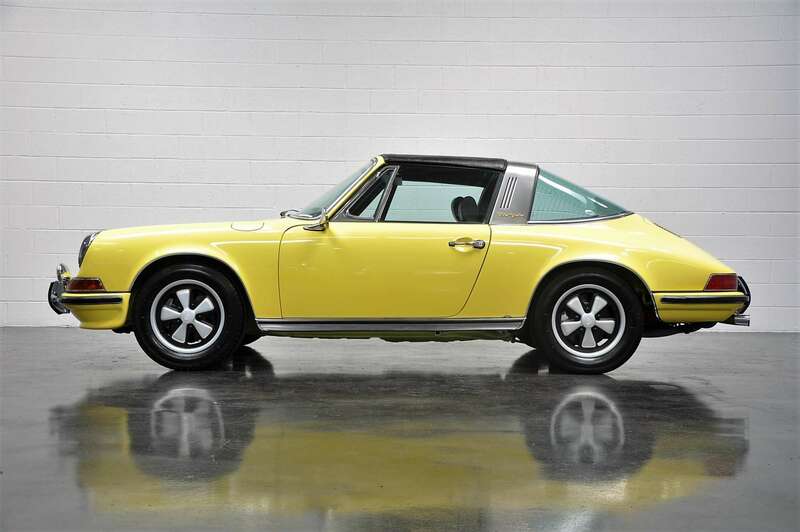 Few cars of its day were capable of matching its exhilarating performance.